The UTEC explosives and research testing facilities consist of two primary physical locations. 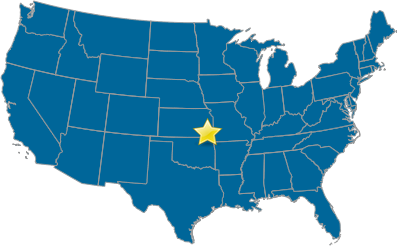 The Chemical analytical and small scale laboratory is located in Riverton, Kansas; and the pilot plant and large scale detonation testing location in Hallowell, Kansas. UTEC’s Headquarters is based in Riverton, Kansas, USA. Both of these facilities have specific purposes and are staffed with highly trained personnel, with many years of experience in safely handling explosives and energetic materials. UTEC over the many years has been instrumental in the research and development of all types of explosives ranging from the early days of ANFO through to modern, safe, aqueous based explosives such as water-gels and emulsions. UTEC has not only utilized its research, development and testing expertise internally, but also provided the same level of commitment to outside entities and agencies. UTEC has been involved directly with regulatory agencies such as the ATF, DOT, Homeland Security, and with other private companies that have been working with the aforementioned entities on specific projects and contracts. Contact UTEC today for any of your needs concerning the research, development and testing of your explosive products, formulations, or energetic materials.